aPubsoft Blu-ray Ripper must be recommended strongly here as the exellent Blu-ray 3D Converter. 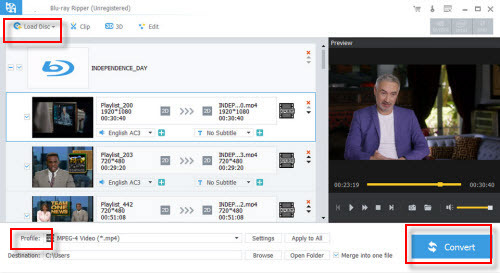 This 3D Blu-ray ripping software can decrypt Blu-ray AACS, BD+, UOP, Region codes, MKB V61, MKB V62, etc then export popular video files in any 2D/3D formats. It also can extract FLAC, WMA, MKA, etc audio and subtitles from Blu-ray and DVD movies. You can adjust 3D depth, video resolution, video bit rate, video frame rate, audio bit rate, audio codec to get perfect 3D video on Windows 10/8.1/8/7/Vista/XP. 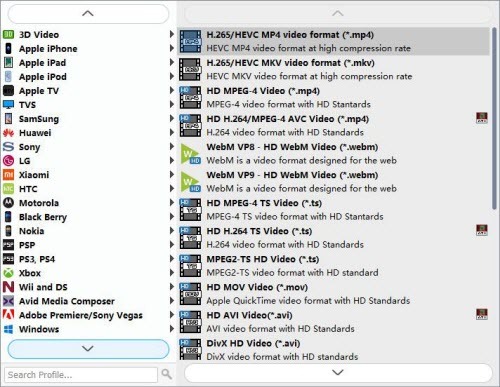 If you are using a Mac, iMac, MacBook Pro and want to convert 3D Blu-ray to 3D SBS MP4, you should use aPubsoft Blu-ray Ripper for Mac. Step 1. Install and launch aPubsoft Blu-ray Ripper as the best 3D Blu-ray Converter on your computer, and click “Load Disc” button to load 3D Blu-ray disc movie from Blu-ray drive. Blu-ray folder and Blu-ray ISO image are also accepted at here. By the way, if you have spent much money on DVD discs, you also can load the DVD movies and get 3D video from DVD movie easily. Step 2. Click “Profile” bar on the interface then navigate to “3D Video” category, and choose “MP4 Side-by-Side 3D Video (*.mp4)” as the output format for VR Headsets/3D TVs. Tip: Video resolution is important for 3D video, which has an important influence on 3D effect to some degree. Sometimes, the video size is determined by your smartphone screen resolution so when you choose the video size, you should consider about your VR-ready phone. When you don’t know the best video settings, I suggest you to get a lower video resolution instead of a high resolution cause too high video resolution doesn’t mean more immersive 3D effect and it will waste charge and lead vertigo. You can refer to the chart below to set your video resolution according to your VR Headsets. Step 3. When ready, click the “Convert” button to rip 3D Blu-ray to SBS 3D MP4 video for VR Headsets/3D TVs with original quality preserving and perfectly 3D effect. After the 3D Blu-ray to 3D video conversion finished, you can click “Open Folder” button to get the export 3D SBS MP4 video files. Then, you can transfer the 3D MP4 files to smartphone to view 3D Blu-ray movies on Oculus Rift CV1, Samsung Gear VR, Homido VR or play 3D video on PS4 with PS VR via USB.